Please make PlusSizeSOS.com one of your resources for the latest on plus size clothing, advice and fashion news that you can use. I encourage you to subscribe to the PlusSizeSOS fashion blog RSS feed so you'll be up to date on the latest tips and trends. As Seen On Oprah - When Oprah speaks, buyers listen. AlwaysForMe.com is thrilled and honored to have been selected by O, The Oprah magazine, for our suits that can handle the curves highlighted in their June 2008 Beach Special. Continue reading "Buy things that fit you"
Fashionable Plus Size Jackets and coats. Tips to buy the right coat for your body shape. Continue reading "Plus Size Jackets To Keep You Warm and Toasty"
What is My Body Type? Take your measurements and find out. 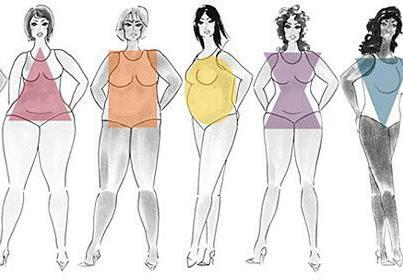 Continue reading "What is My Body Type? Take your measurements and find out." A full figured woman's style guide to wearing today's trendy tops. Continue reading "Trendy tops that flatter full figured women"
Continue reading "Plus Size Suits and Seperates"
Continue reading "Women's Plus Size Jeans that will Transform Your Look "
Continue reading " Plus Size Bathing Suits for all shapes and sizes"
Continue reading "Plus Size Modeling Tips"
Do you have what it take to become a plus size model? Continue reading "Plus Size Model Information and Advice"
Continue reading "Mother of the Bride Gowns"